Water, Electric, systems are all US standards. Sealine is a SeaRay company. Cherry and mahogany interior. 8Kw Kohler Generator, Twin 50 Amp shorepower. Twin ac units, 4 batteries, full enclosure and cockpit cover, freshwater only, hoist stored. 42 Mph top end, 35 Mph cruise. 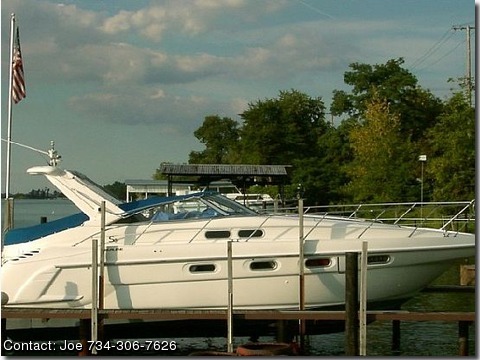 This boat new was $283,000 as equipped.